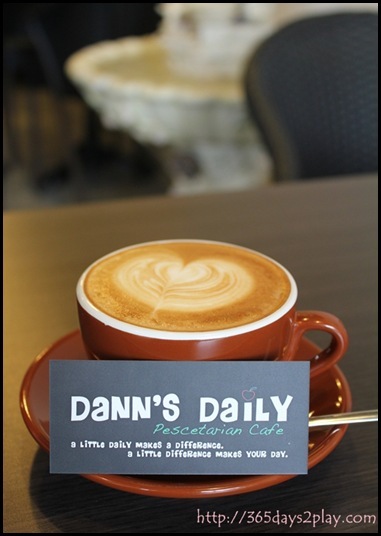 Read about the existence of Dann’s Daily Pescetarian Cafe from Foodoshoot. 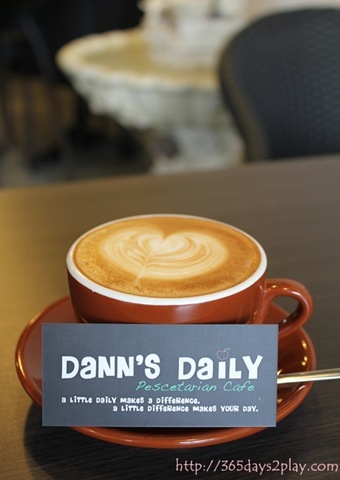 I thought I had my tabs on all the cafes in the East, but Dann’s Daily managed to escape my notice! 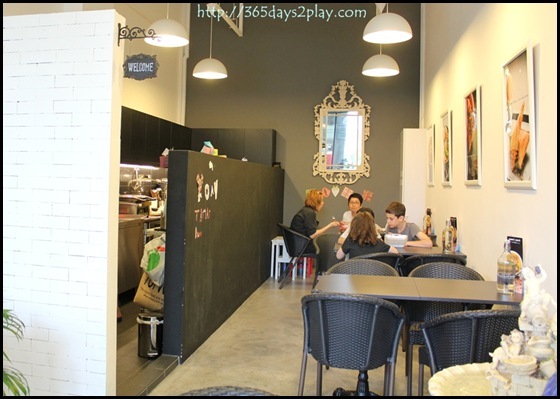 Nevertheless, I was really happy that I have a new cafe to patronise, especially if it is a good one. 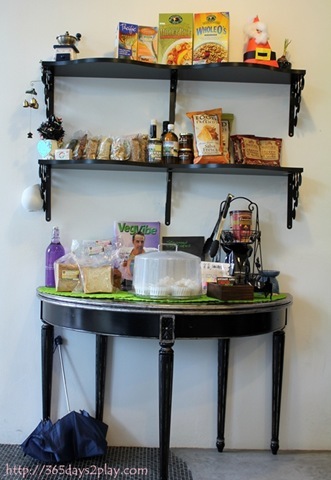 Dann’s Daily Pescetarian Cafe, as the name suggests, does not serve meat but serves seafood. This suits me fine because my father is kind of like a pescetarian as well, so I have grown used to the idea. What I don’t think I’ll ever get used to is a diet of no egg and dairy. 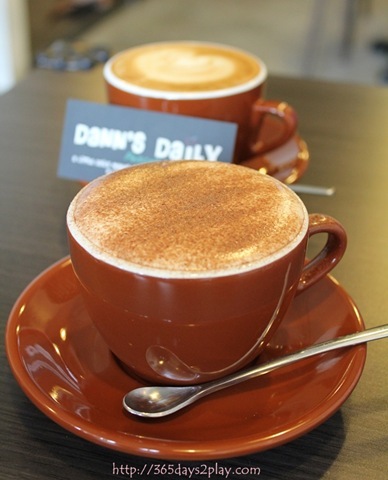 We went to Dann’s Daily on a Saturday Afternoon with the intention of just trying out their coffee. After scrutinising the menu, we got greedy and also ordered the toasties sandwiches. There’s quite a variety ranging from Salmon, Otah Japanese Cucumber, Prawns Avocado, Mackerel Mushroom Cheese and even Chocolate and Kaya, all costing $4-5 so it was pretty affordable. They also have some meal dishes such as Fish Soup (which I hear is so good it can wake up the dead), Curry Pasta, Prawn Pasta etc. 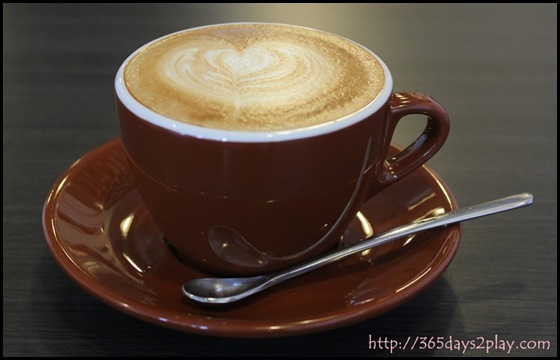 I found their name card and placed it on the coffee cup. Don’t be mistaken, this is not a sponsored advertorial (even though I wish it were!) Quite like this photo actually. 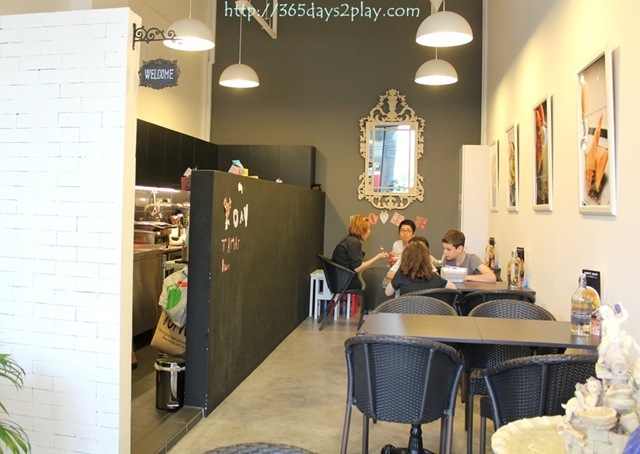 Photos look the best when the lighting’s good, so I always love a bright and cheery looking cafe! The coffee itself was very good. Strong and with a nice flavour. 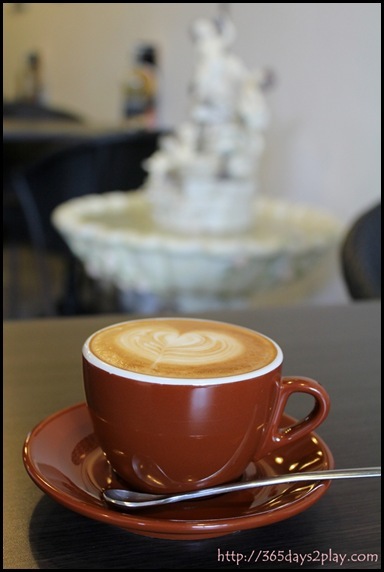 Pretty much in the same league as the “Coffee Boys” – 40Hands, Papa Palheta, The Plain, Loysel’s Toy, Chef Icon. 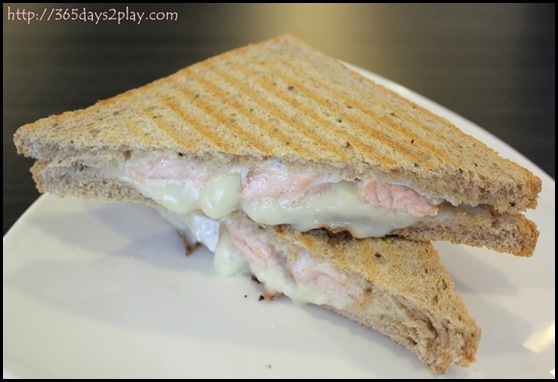 Salmon Toasties – The colour of the salmon may seem pale, but don’t be fooled by the looks. This salmon was so fresh and flaky, we polished off the sandwich in a few seconds. As a mark of it’s freshness, this toastie is not available everyday, but only when fresh salmon is available. I love how simple food tastes so good. Notice the bread is whole wheat. 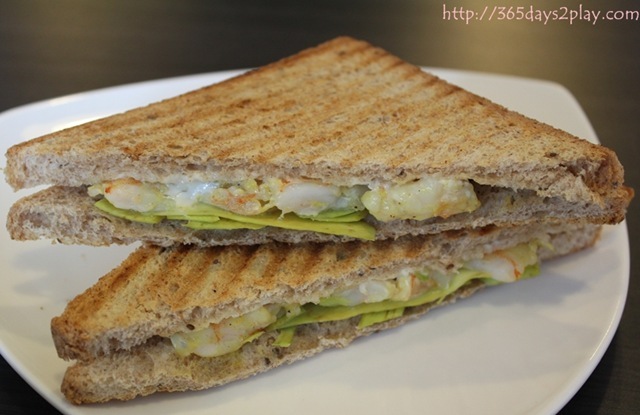 Prawns Avocado – Not as tasty as the salmon toasties, no oozy cheese here, but still quite good. Taste requires some getting used to, especially since the avocado slices are hard! i was expecting the mushy kind that is normally used for sandwiches. 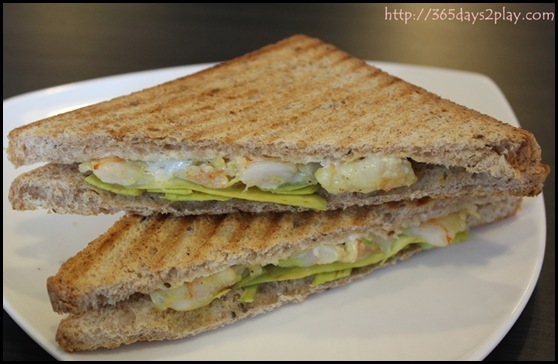 Nevertheless, the firm avocado slices lent a healthy flavour to the sandwich. Neighbourhood kids come in to play here. 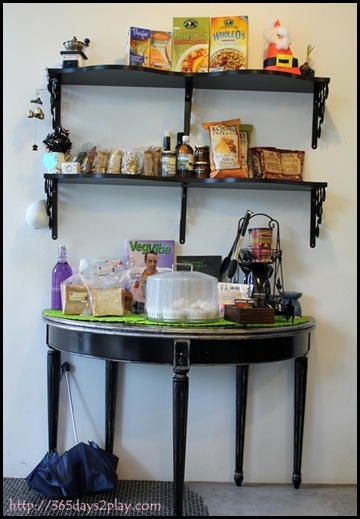 Click here to read about my 4th visit to Dann’s Daily Pescetarian Cafe. 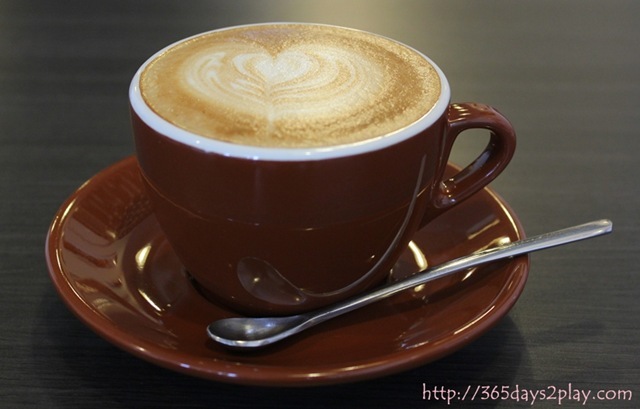 wow the coffee here looks soo good. where is this nice place? Btw, are those email notifications that I’ve responded working for you? I’ve put them on as automatic because all other options don’t seem to work. yes they do..thanks. I must revisit Eastwood Centre…think i may have come here before some years ago. Thanks! We did! 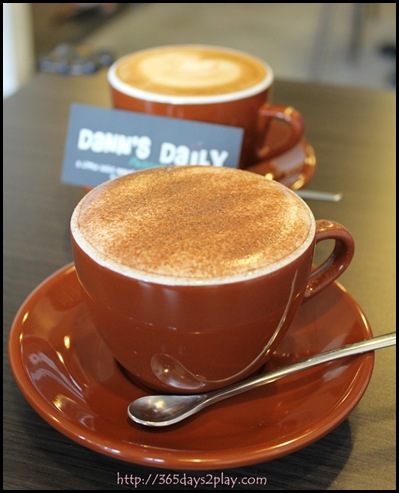 Also want to try out the chocolate toasties sometime too.